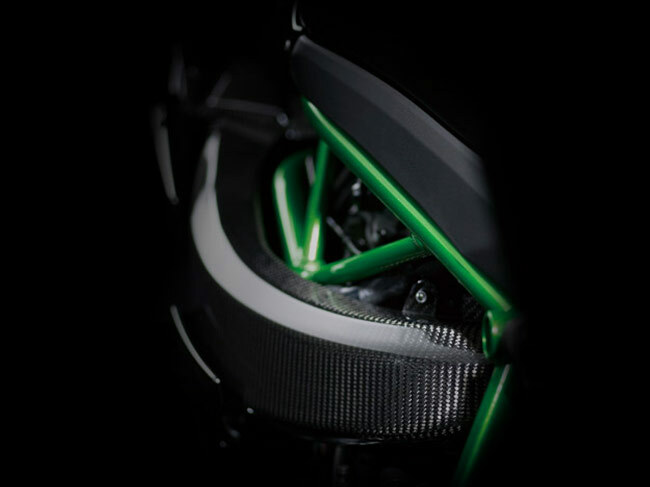 The supercharger used in the Ninja H2R was designed by Kawasaki motorcycle engine designers with assistance from other companies within the KHI Group, namely the Gas Turbine & Machinery Company, Aerospace Company, and Corporate Technology Division. Designing the supercharger in-house allowed it to be developed to perfectly match the engine characteristics of the Ninja H2R. The highly efficient, motorcycle-specific supercharger was the key to achieving the maximum power and the intense acceleration that engineers wanted to offer. The Ram Air duct was designed to route fresh air to the supercharger in as straight a line as possible. 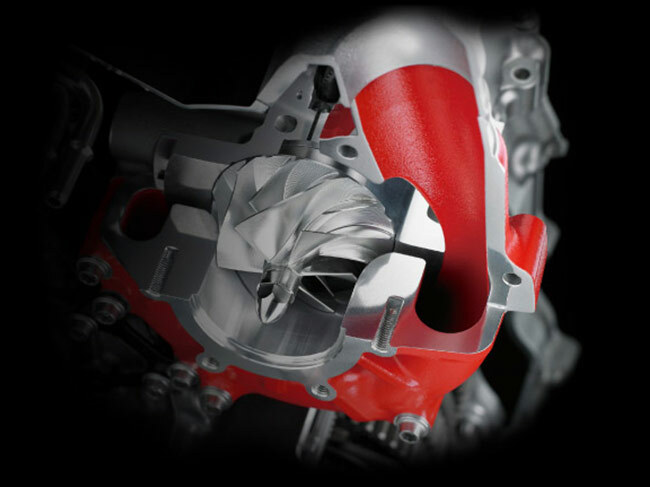 Its shape was derived to match the impeller characteristics, further contributing to the engine’s high output. The duct is constructed of highly rigid, lightweight CFRP (carbon-fibre reinforced polymer). To keep the engine compact and simple, a single lubrication system provides cooling oil for the engine components, supercharger and transmission. Oil jets lubricate the supercharger chain at the contact points where the chain meets the upper and lower gears. 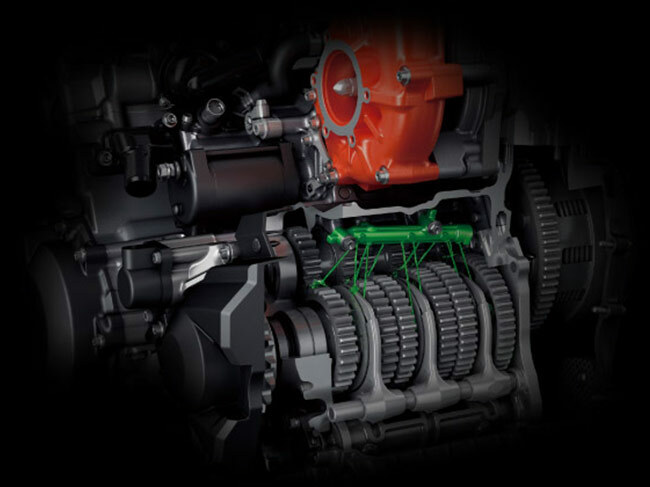 In addition, the supercharger drive train’s lower gear has an oil passage.